Here at Cricut, we love to hear that our products help people add beauty to their homes and lives. But some users really go the extra mile to make the world a better place for others, and today we are happy to be featuring a woman who does exactly that. 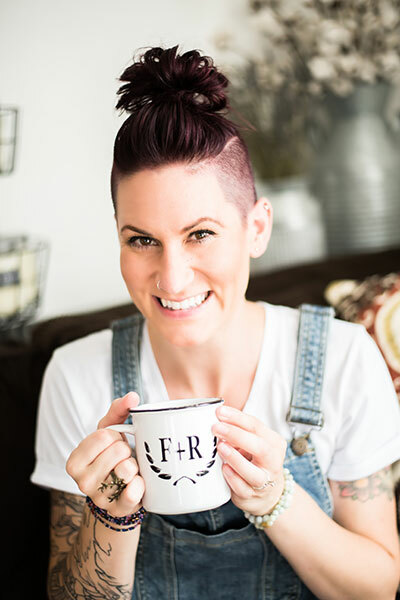 Jessica Kistner is the creator and proprietor of Jessie’s Find and Refine, an online store specializing in home décor and organic living. 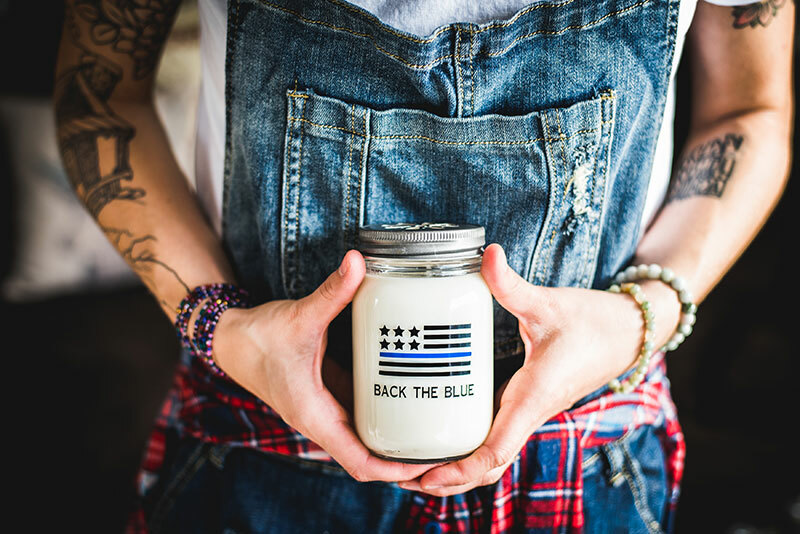 But Jessie doesn’t just sell amazing (often upcycled) products, she also supports her local law enforcement by creating and selling “Back the Blue” candles, which raise funds for the Napa Police Officers’ Association. Read on… and get ready to be inspired! 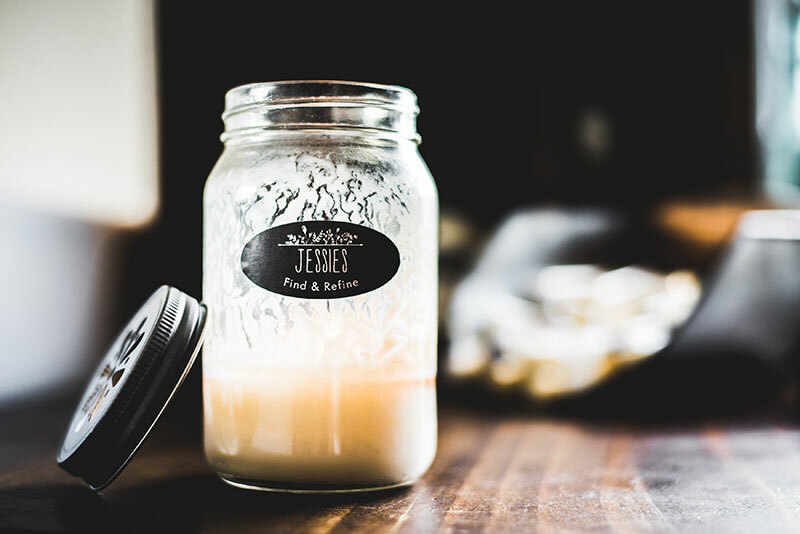 I started making soy candles about four years ago while in the Marine Corps. My husband and I were both military police, working presidential security. We eventually moved back to California, where my husband is employed as a police officer in Napa. I wanted to do something to give back to the community, and to show love and support for all law enforcement officers. Prices for my candles start at $15, and for each one that I sell, I donate $5 to the Napa Police Officers’ Association. Just a few weeks after I launched the program, I was able to give them $300! That is so fantastic, and we are thrilled that your Cricut has helped you with your creative passions. How long have you had your Cricut? What is your favorite feature? I got my Cricut after an elementary school friend introduced me to the brand. I've had it for almost a year now. My favorite feature, by far, is that I’m able to cut vinyl. I use my Cricut almost daily, whether it be customizing coffee mugs, adding a special touch to my candles, making fun labels for the oils that I sell or creating custom windows. I'm obsessed! Jessie, thank you for your story and, moreover, for your service to our country. 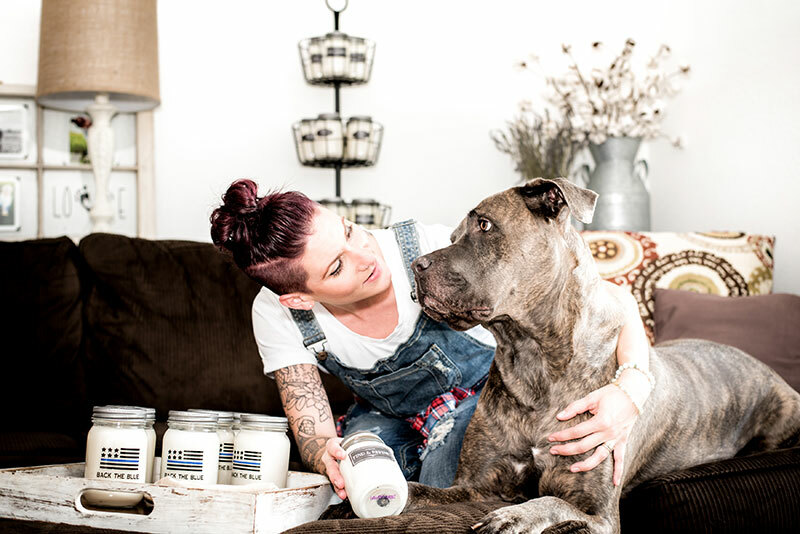 Amazing woman doing great things with an amazing product. Thank you Cricut ????? Amazing story… Thanks for sharing!!! My husband is a police detective – thanks for “backing the blue”! Thank you to you and your family.